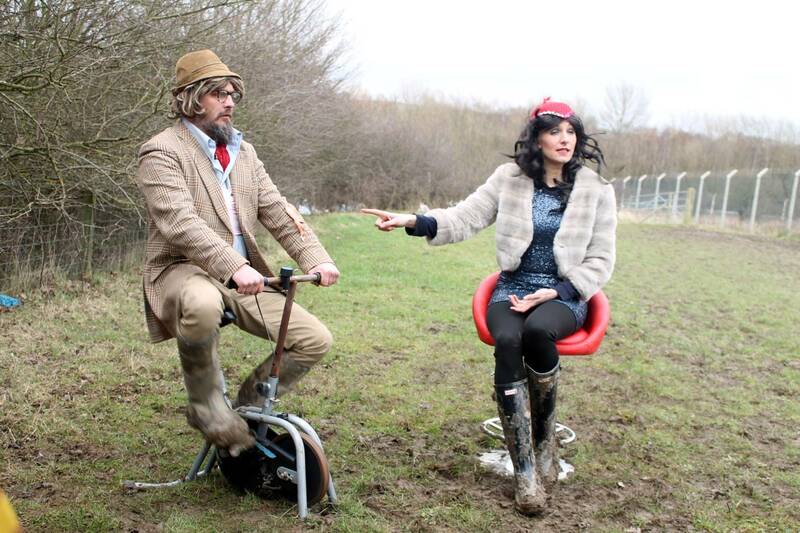 A smattering of TVO regulars make appearances in new BBC Three comedy series Big Field. The show is the brainchild of Darren Dutton and Jonny Roberts, originally an independent viral smash in its own right, and is proudly made of recycled materials. That is, it steals the sound of your favourite telly shows and mashes it into something new. In a field. It’s an intriguing blend of cut and paste Cassetteboy-esque madness, which features the likes of Lucy Montgomery, Tony Way, Shelley Longworth and Alex Lowe as part of the pocket-sized insanity. Eastenders, Jeremy Kyle, Big Cook Little Cook, Question Time, Lorraine Kelly, the snooker and Dame Joan Collins all come into the anarchic firing line, and with each episode only a few minutes long, it’s a great way to add a bit of silliness to your day. The five episodes will be released throughout this week, with the first dropping on BBC Three’s online portals (the website, YouTube and iPlayer) today. Episode One, meanwhile, can be seen below.